When will be Great British Buildings: Restoration of the Year next episode air date? Is Great British Buildings: Restoration of the Year renewed or cancelled? Where to countdown Great British Buildings: Restoration of the Year air dates? Is Great British Buildings: Restoration of the Year worth watching? Kevin McCloud and Dr. Anna Keay explore the UK's most incredible restorations of historic buildings of 2016. Kevin McCloud and Dr Anna Keay look at the UK's most incredible restorations of historic buildings. From palaces to watermills, department stores to music halls, they find nine centuries of our history told through treasured places that have been brought back from the brink. These are bold interventions, demanding great craft skills, enormous dedication and budgets that run into millions. All of the projects have been placed on the long-list by the Royal Institution of Chartered Surveyors for their Restoration of the Year award. The long-list was derived from the Rics Awards 2016 and had a strict judging criteria. This second episode explores the Victorian category. Anna visits Mount Stewart, an imposing country house in Northern Ireland and the Victorian music hall Wilton's, in east London. Architectural historian Dr Jonathan Foyle visits the Pump House in Barry, Wales. And in Stornoway in the Scottish Highlands, historic building surveyor Marianne Suhr gets under the skin of a medieval-style castle. At the end of the episode, Kevin and Anna hear which building the judges from Rics have shortlisted to go forward to the final for the overall prize. Kevin McCloud and Dr Anna Keay present the nominees for the Early category. A stellar collection of buildings constructed between the 13th and 16th centuries includes Hampton Court Palace; The Royal Hospital, Chelsea; a lost medieval building in Ledbury; and Hardwick Hall in Derbyshire, where the previously derelict stable block and barns have been cleverly revitalised for modern use. At the end of the episode, the judges from the Royal Institution of Chartered Surveyors announce which of the buildings has made it onto the shortlist for Restoration of the Year. 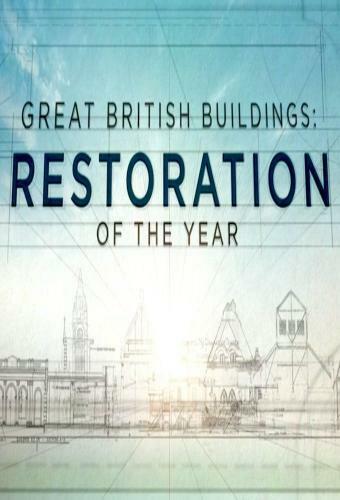 Great British Buildings: Restoration of the Year next episode air date provides TVMaze for you. EpisoDate.com is your TV show guide to Countdown Great British Buildings: Restoration of the Year Episode Air Dates and to stay in touch with Great British Buildings: Restoration of the Year next episode Air Date and your others favorite TV Shows. Add the shows you like to a "Watchlist" and let the site take it from there.